It wouldn’t be VWOAP without a few exclusive pop ups setting up shop in Wellington to offer you all some super limited edition treats. This year, there are new ventures and returning favourites, but you’ll have to be quick-smart about it – these are fleeting, blink-and-you’ll-miss-them moments. Gourmet toast (aka fancy toast, artisanal toast, high-end toast...) has been a craze sweeping the international food world, taking the humble breakfast staple to the next level. We’ve all got our favourite toppings, but prepare to have your horizons expanded as some of Wellington’s best-loved cafes and restaurants take over the VWOAP Toast pop up to serve you a mouth-watering and extraordinary breakfast. You won't look at toast the same again when you see what's on offer. Savoury spiced lamb mince with mint feta? Lemongrass cream cheese and green tea-smoked salmon? 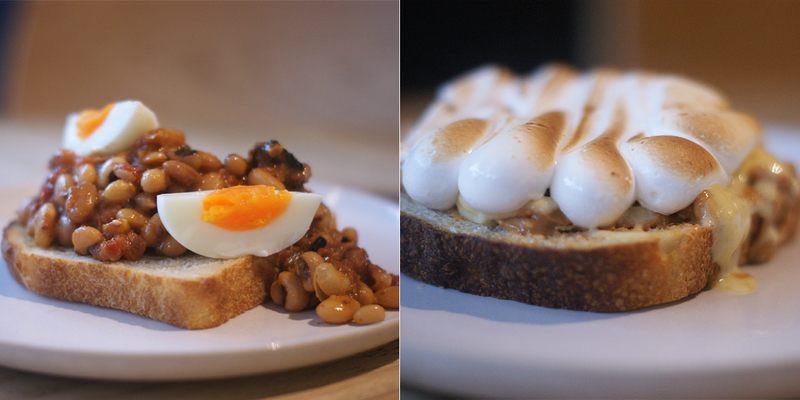 Smoked pork baked beans and egg? Grapefruit, lime and gin marmalade? It’s toast, Jim, but not as we know it! Set those early alarms – you’ve got no excuse to skip breakfast during VWOAP. If you missed out on tickets to one of VWOAP's most popular events, you've got a second chance with the Rimutaka Prison Gate to Plate Pop Up over three lunchtimes beside Midland Park (22-24 August). Unlike the main event you won't need a ticket, but it's still a first-in, first-served affair. Gourmet lunchtime takeaways will be on offer, including sandwiches and rolls prepared by prisoners from Rimutaka Prison, mentored by chef extraordinaire Martin Bosley. What is this? A restaurant for ants? 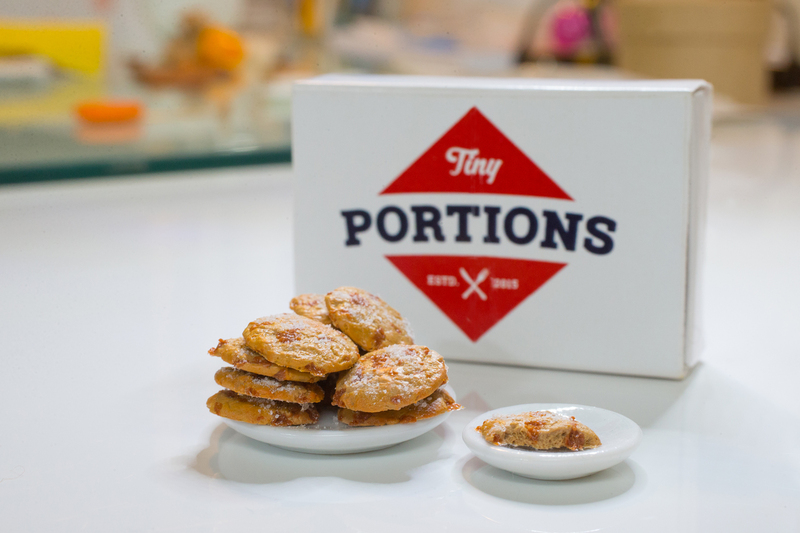 Well, not quite – Tiny Portions is an exhibition of pint-sized sculptures by artist Rose Young. Originally inspired on a trip to Japan and discovering the wonderful world of plastic food, Rose has developed a fanbase over the last year and half since uploading photos of her adorable creations on Instagram. For VWOAP, Rose has crafted miniature recreations of more than 20 iconic Wellington dishes, including Nikau's kedgeree, Il Casino's spaghetti bolognese, and Little Penang's char kway teow. Pop along to feast your eyes on these detailed sculptures and don't be surprised if you feel like eating out afterwards! The Wellington Food Truck Rally is back to take VWOAP on the road, making stops in Lower Hutt, Upper Hutt, Porirua, Kapiti and the Wellington CBD. Variety is the spice of life, so whether it's Dutch, Indonesian or Greek fare, dumplings, burgers, or churros, you're sure to find something scrumptious to sate your rumbling tummy. Throw in some entertainment and you've got yourself a great night out. Check out the full schedule here. Beer No Evil, Pie No Evil at the Sprig & Fern Tavern is back for a fourth year, bringing you classic Kiwi pies with eastern flavours. They'll all be matched with Sprig & Fern's delicious craft beer. Speaking of beer, although most of us would visit Golding's Free Dive for a cheeky pint or two, for VWOAP they're going topsy-turvy on us and dishing up Pie & Pinot – your favourite pies will be paired with Pinots from local wineries. Sixes and Sevens will be dotted around town during the festival with their Sixes Pie Cart offering three new pie flavours every day. Keep an eye on the VWOAP or Sixes and Sevens websites for their whereabouts.